It’s up to you to invent the applications that go with it ! We have the pleasure to offer you the unique opportunity to get started with Hyperpanel Platform through a complete SDK including Hyperpanel OS, an online C language editor, compiler and libraries as well as access to Hyperpanel Tookit. With this SDK, you will discover Hyperpanel OS’ unique features, among which: high security, low power consumption, zero latency, very low footprint and the ability to develop your applications based on multitasking and no longer on sequential tasks. All these characteristics have been implemented on a Cortex-M3 and Cortex-M4 microprocessor. 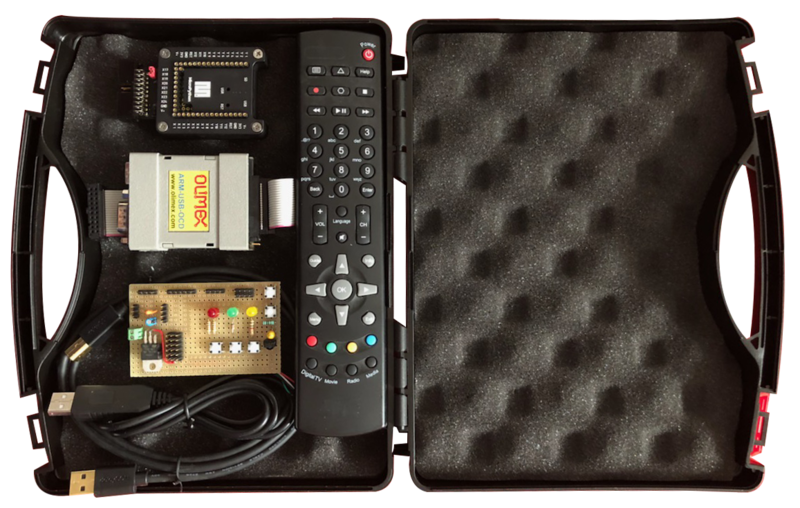 In order to support you in the discovery of this innovative solution, Hyperpanel has chosen a hardware widely recognized and used by the developer community: the PyBoard. Initially available for applications programmed in C language, we are offering you the possibility to use our SDK by participating in our pre-launch program. To do so, just register and submit your project by filling in the form here below. The first 50 selected registration files will receive for free the Hyperpanel SDK including a PyBoard, a daughter board, a JTAG connector, a remote control as well as a granted access to Hyperpanel development web site. Then you will just have to enjoy a new era full of amazing possibilities. Let’s now give free rein to your creativity and imagination with Hyperpanel and welcome to the real world of connected devices!